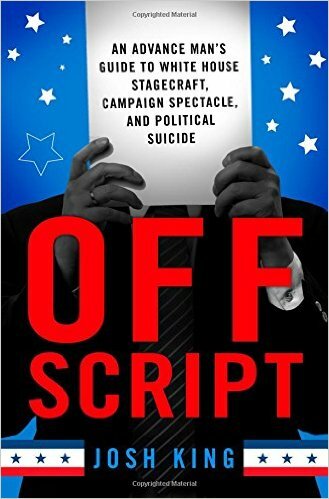 Off Script is a book that Donald Trump will quote. It takes readers inside the Democratic and Republican parties and their operatives’ tools of the trade. During the 90’s under President Clinton, King served as Director of Production for Presidential Events in the White House office of communications. King was an important part of the communications team while working at the White House, overseeing and helping execute many iconic moments during President Clinton’s two terms in office. He also helped usher the beginnings of the technological revolution in the 90’s into the White House. King assisted in advancing the President’s messaging and communication through the advent of email and the Internet. Icons of politics and journalism who are supporting and have lent their names to OFF SCRIPT include: Don Baer, Mike Barnicle, Paul Begala, Jay Carney, Mark Halperin, John Heilemann, Joe Lockhart, Mike McCurry, Mark McKinnon, Brad Meltzer, John Podhoretz, Karl Rove, George Stephanopoulos, Danny Strong, Nicolle Wallace and, Beau Willimon. Bloomberg’s flagship politics show will find a second home on MSNBC. 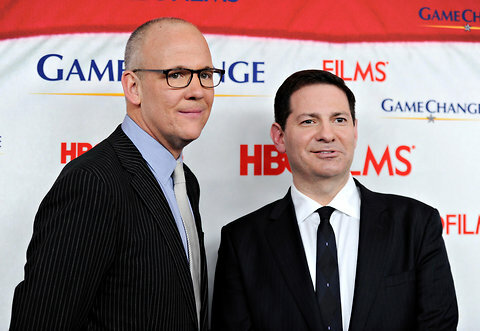 The channel will re-air “With All Due Respect”, featuring Mark Halperin and John Heilemann, will continue to air on Bloomberg weeknights at 5pm. Starting in January MSNBC will fill up the 6pm vacancy left by Al Sharpton’s “Politics Nation” with a re-airing of Halperin and Heilemann’s show, which has been expanded from its original 30 minutes to a full hour.